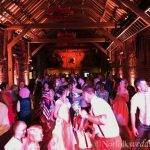 Please see below for some reviews of Norfolk Wedding DJ events, weddings and parties. Had a great night, many thanks to the DJ who blasted some absolute tunes and made the night epic! Can’t wait for the next one!! Massive thank you for doing the disco – you were brilliant! We loved every minute of it, as you could see I did not come of the dance floor!